Today is the three-year anniversary of my little sister’s death. Her name was Carissa, and she was the most beautiful woman I’ve known. 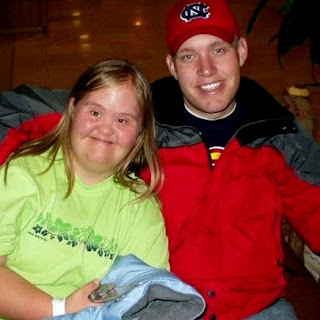 In honor of my sister, I think it’s appropriate to repost the Saturday’s Heroes post I wrote about her. Carissa is and always will be my greatest inspiration and number one hero. I had the privilege of giving the eulogy at her funeral. Some of those words have been intermingled here. 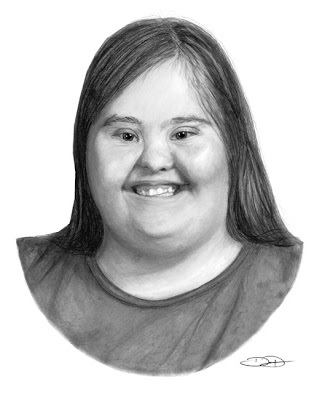 Carissa had Down’s Syndrome, but she never once let that define her. In fact, the only word that could ever define her is love. Her funeral offered indisputable evidence of just how far her love for others had spread.The room in which we held her services seated 750 or so. Many had to stand along the walls or listen from the hallways because there simply weren’t enough seats for everyone. I have been to many funerals. I have never seen one with that kind of turn-out. I remember struggling to put her life into words that could accurately express who she was and what she was about. Truth be told, Carissa’s shining life and example really couldn’t be expressed over a podium. It had to be felt, experienced, and witnessed, as so many people there in attendance knew. You see, Carissa understood love probably more than I or most of us will ever be able. She could feel inside a person’s soul and somehow, could even feel the pains of a person’s heart. If that person’s heart was hurting more than usual, she could sense it, and she would do what she did best, which was to help start the healing. It usually started with a question of concern, then a big smile, then one of her big Carissa Bear Hugs. Then, the verbal praises would start and not let up until she sensed that your heart was at peace again, even if it took weeks or months. She would laugh, and tell you repeatedly over the course of days, “You’re my favorite.” “I love you this much.” “Hello my beautiful.” “Hello my handsome.” And other wonderful things. Then, when you would leave, she’d get out a notebook and her big bag of colorful pens, and write you a letter or two, telling you how much she loved you, how much she loved God, and how much He loved you. You see, Carissa believed in God’s love for us, and she never hesitated to share it. Carissa was not bound by pride, ego, time, or selfishness, a few of the struggles that many of us so naturally have. She was never too busy to visit or care for the sick. She never received an assignment in her church, school, or community that she didn’t complete with 100% vigor. She never thought herself better than another human being, ever. She never thought herself better than another human being. How many of us can say that?She never hid her talents from the world. She never withheld her praise from anyone. She never compromised her values. She never believed that there was a reason to not show her love to others, and certainly never believed there was a reason for others not to love her. So… I’m Dating this Girl.